Return to Order and the pro-life battle fit well together. The book’s central premise deals with what is called the frenetic intemperance of modern life that incites people to throw off all restraint. This especially includes the throwing off of sexual restraints that leads to the occasions that make so many abortions happen. In this context, the Connecticut Right to Life’s eastern section held a morning of talks and updates about pro-life issues on October 1. The first speaker was Edmund Peterson, a long-time pro-life activist who pointed out the need for building coalitions as a mean to influence the debate. Return to Order author John Horvat was the second speaker and spoke on “The Coming Pro-Life Challenges: What It Will Take to Win.” The event was held at the auditorium at Our Lady of Grace Catholic Church in Baltic, Conn. The speaker outlined the three things it will take to win the pro-life battle. The first is the passion of countless families scattered across the nation who defend the family in a culture of death. It will also take those who challenge the culture and in the process construct alternatives. Finally, it will take Catholics of great faith who believe in the power of miracles and prayer. The event also included display tables and reports by many of local pro-life groups about their initiatives to defeat today’s culture of death. It was encouraging to see such activists involved in the fight and working for America’s return to order. 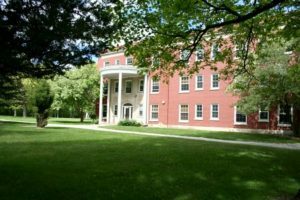 Need a speaker for a pro-life event? 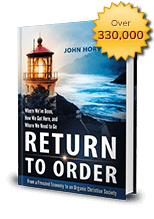 Get in touch with the Return to Order campaign by clicking here or contact John Horvat directly at jh1908@aol.com. This entry was posted in Featured and tagged book signing, Catholic Church, event, presentation, pro-life by RTO.org. Bookmark the permalink.